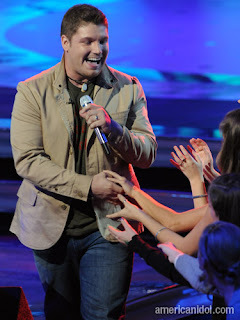 Season 8's Michael Sarver has two new singles ready for purchase at iTunes. The former rough neck shows off his bluesy ballad style with the lovely "You Are" and his country vibe with "Cinderella Girl." Michael is on the Dream Records/Universal Music Group and plans to release an album in the spring of 2010. Check out more news after the jump! 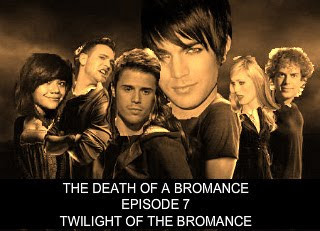 Check out the latest edition of The Death of a Bromance, starring our favorite Idols: Adam Lambert and Kris Allen, AKA: Kradam. This week: It's a Scandalous Bromance. 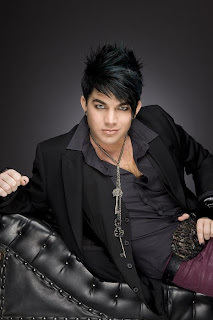 All the Idol news fit to blog! As anyone paying attention knows, the media has been dominated by one particular Idol for the past few weeks. Who could it be? But, before we discuss the latest Glam-troversy, let's get to some other Idol news after the jump! 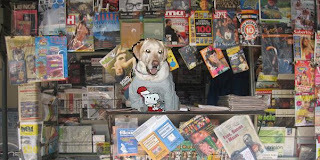 Kristen the Yellow Lab can't try out for American Idol because she's not sure who she is, as an artist. But, she's always happy to encourage others to do so. This young lady is brilliant, and if she went for it, we'd not only vote for her, but we'd write very nice recaps regarding her performances! Thanks to McLovin from castrocopia.com for the brilliant find. And here's a fabulous version of Lady Gaga's "Poker Face." Try out for Idol, Stephanie! Meanwhile, best of luck with your music!